Due May 26, the project will be available as CD, 2CD, 2LP, 6-disc Super Deluxe Edition and digital packages, all featuring a new stereo mix by Giles Martin and Sam Okell following the original work by the legendary George Martin. The expanded 180-gram 2LP vinyl package features the new stereo album mix on the first LP and adds a second LP with previously unreleased alternate takes for each of the album’s 13 songs, newly mixed in stereo and sequenced in the same order as the album. The expansive, 6-disc Super Deluxe Edition delivers four audio discs – including the new stereo mix, two CDs featuring 33 tracks from the sessions, and the original 1967 mono mix plus bonus tracks (including three previously unreleased mixes). Two Blu-ray/ DVDs also offer 5.1 surround sound and hi-res stereo mixes, the fully restored 1992 documentary, “The Making Of Sgt. 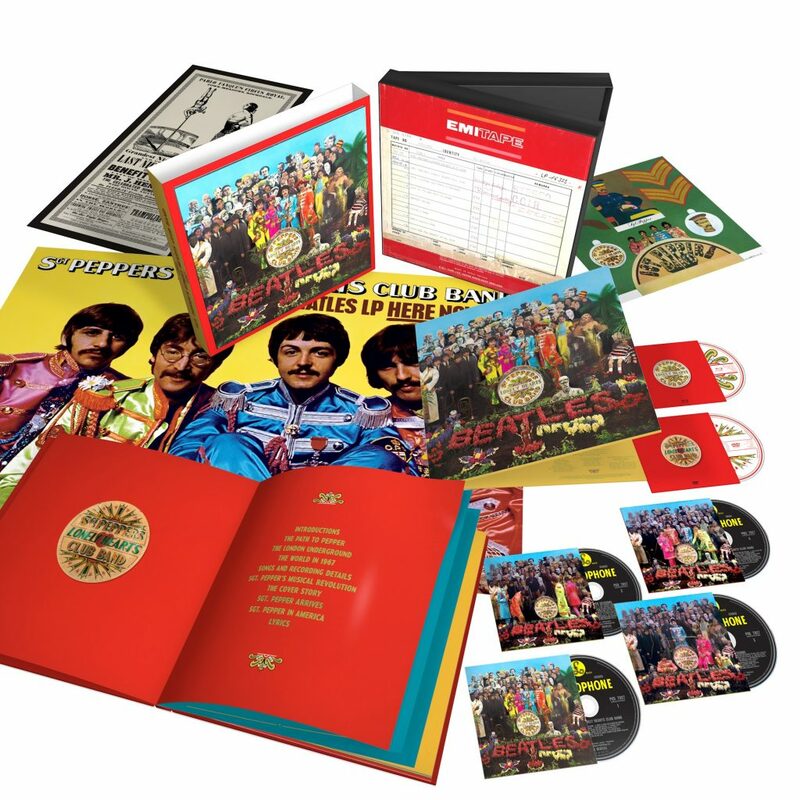 Pepper”, posters, restored promo videos and a 144-page hardback book featuring an introduction by McCartney. Full track listings for the reissues can be found below the videos. 1. " Sgt. Pepper's Lonely Hearts Club Band"
2. " With A Little Help From My Friends"
3. " Lucy In The Sky With Diamonds"
5. " Fixing A Hole"
6. " She's Leaving Home"
7. " Being For The Benefit Of Mr. Kite!" 8. " Within You Without You"
9. " When I'm Sixty-Four"
11. "Good Morning Good Morning"
12. "Sgt. Pepper's Lonely Hearts Club Band (Reprise)"
13. "A Day In The Life"